I have had a love/hate relationship with the neighborhood squirrels. On one hand, they are so cute and it's a joy to watch them during the winter months. Then, during the summer, I loath them because they steal my organic garden produce. 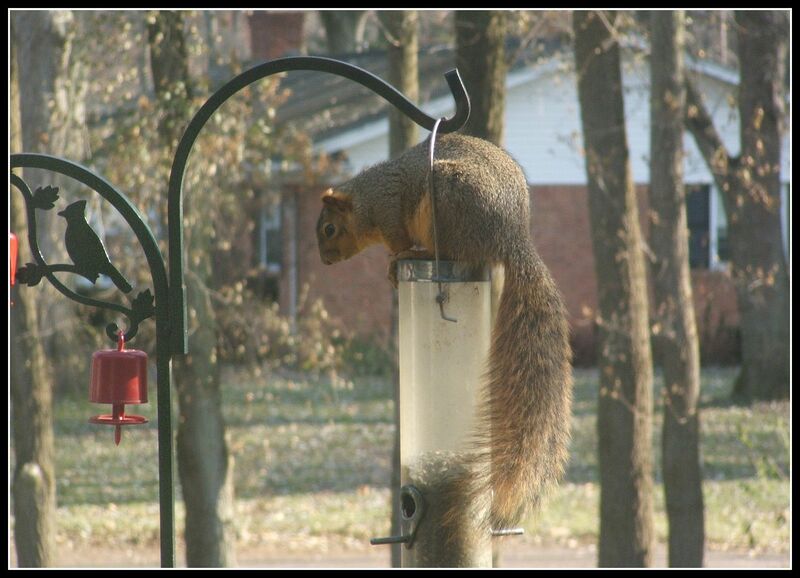 This year, The Squirrel Clan have continued to eat all of the birdseed that we provide during the winter and they have become so bold that the beg at our living room window when it's time for us to refill the feeders. NOTE about our window. Please excuse the disgusting grime of our windows - they are original from the 1960's - the house has settled and unfortunately we are no longer able to take the windows apart to clean between window panes (we need new windows). This is so funny! Thanks for sharing this. I love your Bengal cat. So pretty. Oh My gosh, he is so cute, and so industrious, love him upside down, hes tenacious!!! The cat seems to enjoy his antics!! Thank you for sharing on #omhgff this week! Have a lovely weekend! 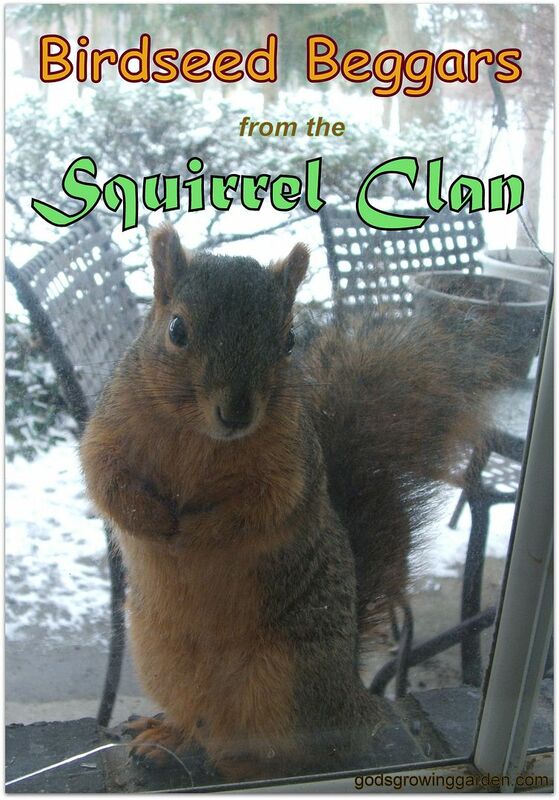 I love that you have deemed them the Squirrel Clan. For a minute, I thought there may be a Native American tie in, then I read the post. haha. Great photos! What type of camera do you use? Thanks for linking up with Oh My Heartsie Wonderful Wednesday! I'm co-hosting and having a blast!